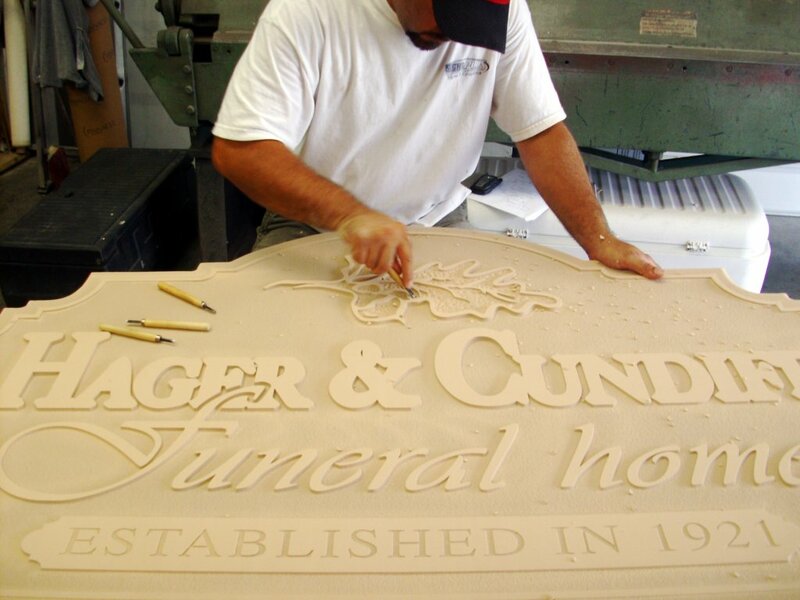 At SIGNS PLUS we are dedicated to full-service custom sign-making - specializing in hand-crafted dimensional signs. Working with our clients from concept to completion to produce signs with lasting first impressions for your business or organization. Although our passion is 3-dimensional sign-making, we offer a wide variety of sign options to accommodate any budget. SIGNSPLUS has a diverse background in all aspects of sign-making - Graphic Design (hand sketch/ computer), Hand Sculpture, Sand-blasting, Painting, Vinyl work, and Fabrication. We pride ourselves on using these skills in house to provide you with the quality and customer-service you deserve.